February-Month 6- Back in the Discomfort Zone?!? 1. 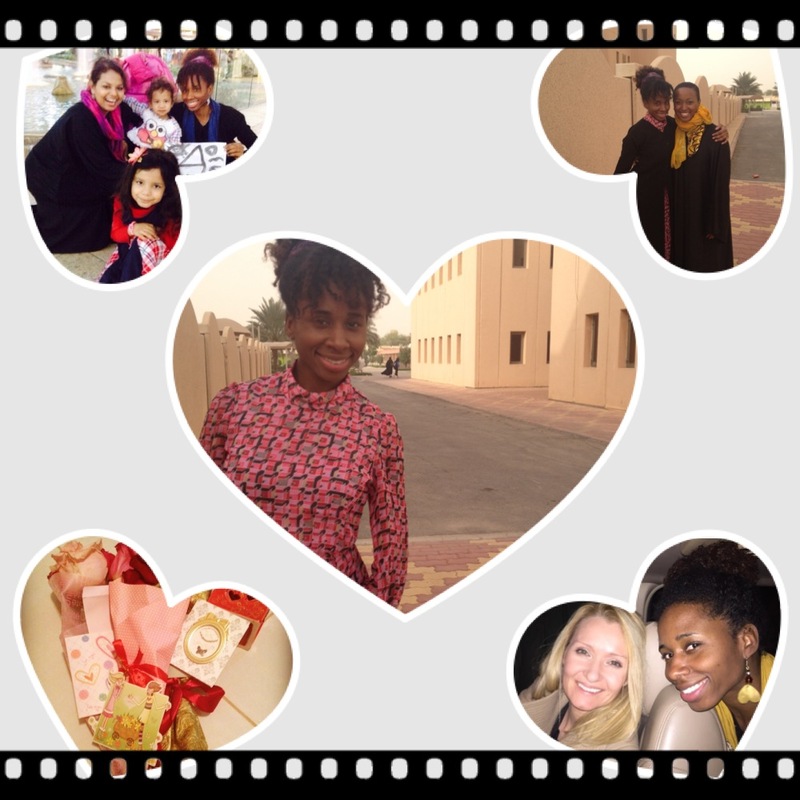 On February 12th, my last day at work in KSA, God reminded me that I am loved and to speak life to people. Excited to share that story in person! 2. Psalm 104 (as my friend Anita says) is DELICIOUS!! You gotta read it!!! 3. I believe the young women I encountered in the classroom will change KSA for the better! I see it already! 4. Meaningful, quality, 1-1 convos are so special to me. Quality>quantity fo sho’! 5. Why is this man clipping his nails in church??!! We can hear that!! Yes, I wrote this part in church. 6. Even when you do your part in a timely fashion, it don’t always work like that. This experience has forced me to sit down (uncomfortably:-/) and wait. James 1:4 tho. 7. Mothers are awesome!! Dads too, but mommies of multiples??!! The food source??!! Y’all got a job!! Salute. 8. Buying insurance will remind you of your age!! Why mine gotta be so high doe??! Cuz I’m lightly seasoned 😉 But seriously, travel insurance is worth the extra peace for you and your fam. 9. I don’t know how I’ll feel when I leave this place, but right now I’m okay! Busy-ness helps. 10. I’m on the road to home!!! Going to a few more places. First for work, then for play-live while I’m living right?! 11. I will miss the worship experience and fervent desire/expectancy for God at GOC. I pray I continue to change for the better. 12. S/o to Talijah who said pack light and Angela who said pack early! I didn’t implement those strategies when you told me to, but I’m trying harder this go round! 13. February 25th (as I’m typing) is my Saudiversary!! I’ll leave two days later. 14. I feel like it’s been longer than a year-like I have a totally different life right now, it’s been awesome!!! 17. I love that I’ve witnessed the historical/political sides of the countries I’ve visited on this journey, I want that to continue. 18. Words have power. I casually said (albeit a few times) that I want to experience a concert overseas (the crowds just look more excited!) and on 2/27, I’ll be watching John Legend and Esperanza live in Dubai!! 19. I’ve received God’s grace, mercy, and favor on another level since I left the US and at times, I feel spoiled and undeserving, but God’s ultimate gift is LOVE, so I’m grateful and pray I use it all for His glory…No good thing will He withhold from those who walk upright (Ps 84:11) I’m trying. 20. Transition and the unknown are scary (I hate scary movies! !lol), but God’s peace and lead help me breathe a lil easier. Last year was so beautiful and just like that…2015! 1. Attended my first ever watch night service! Never went to the late service at EBC, so doing it here was really special and fun! 2. Starting 1/1/15 by oversleeping, waking up in a panic from a nightmare, and almost missing the bus to work, is NOT the business!! God, I’m trusting it gets better!!! 3. Hosted my first Kwanzaa gathering on New Year’s Day, real intimate, real significant. Thankful for good folk who inspire me. 4. Made chocolate chip cookies (from scratch) that I thought were a bust, but my people asked for more!! I still need a do-over, but who knew I could make edible stuff in the kitchen??!! God. 5. For me, 2014 was my Illmatic/Miseducation/Good Kid Madd City year (y’all know Ihiphop) 😉 So the expectancy for 2015 is crazy, but God keeps reminding me to chill with that…this is a journey. 6. Some know I usually have a fitting hip hop reference for many things, but it would just be awkward to throw that into convos here. Anyway the good news is I’m getting there with bible verses too! God is working! 7. I’m listening to The Best of Sade as I write this. 8. I got excited for all of US traveling on those cheap flights!!! Let’s normalize this worldwide thing! 9. God willing, in a few months, I’ll be reunited with my hometown! Cheah!! 10. At the same time, this experience has become a journey, not a contract, so I’m in no rush to put dates on this. I lived methodically before, but in this moment, I’m tryna be present in the newness. 11. I’m thankful I’m still on this journey. I traveled so much in so many ways last year and God kept me. Traffic out here is dangerous so I don’t take traveling mercies for granted. Prayers always appreciated!! 12. I LOVE that the sun shines everyday here!!! 13. I’m excited about YOUR 2015! For real!!! 15. God showed me a tangible reminder to live right (wasn’t me this time, whew!!! but I ain’t exempt!) Sin can have a major domino effect. Lord, I need your help, draw me close to you! 16. I look at myself less in the mirror. When I do look though, I notice differences (I mean we supposed to age!!!) Not bad, but different, change happens. Accept and move forward. 17. I was blessed to experience a Somali wedding in Saudi, Muslim style!!! 19. At certain times/ages, people (self included) have certain expectations for where we should be in life, but who made those rules? Is everyone supposed to live that way?? I’m really trying to listen hard and take my cues from God. 20. Grieving abroad is harder in some ways than being near. Nneka Fritz, your being blessed my life and still inspires me to keep living, traveling, and making this time meaningful, so I thank God for the life you LIVED (you lived sis!!!) and I feel good knowing that I shared my admiration for you in life! The beads are in my suitcase, I will still bring them back for you.